Jody Castellucci, a hunter and prison guard, is a camouflage-print loving, grows-her-own-vegetables kind of badass woman living in Kansas city, Missouri. After her brother's death, she's seemingly lost the will to dress up or take care of herself. And with a huge ranch, a full-fledged family and a full-time job, she barely has any time. Also, she loves camouflage prints — it's on her jackets, her shirts, pants and even her undergarments. It's easy, she claims, and goes with her overall hunting vibe. Jody grew up on a farm with five boys, and admittedly, takes very long to make female friends. She struggles with the idea of being feminine. When she meets the Fab Five of Netflix's Queer Eye, she learns that "masculine" and "feminine" are merely labels, and that you can mould your personal style to exude confidence, and look/feel good (a combination of equal proportions that the Fab Five highly recommend). Queer Eye has always been revolutionary show. 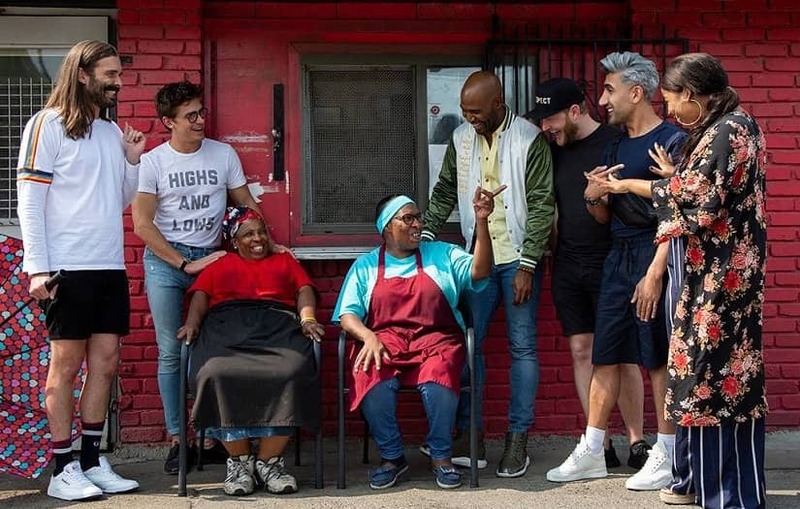 A 2018 reboot of the '90s makeover show, Queer Eye for the Straight Guy, the highly popular Netflix reality series revolves around five makeover experts, known as the Fab Five — Antoni Porowski, food and wine; Tan France, fashion; Karamo Brown, culture; Bobby Berk, design; and Jonathan Van Ness, grooming. Each season, they visit nominated people (in Atlanta for the first two, and now Kansas city for season 3), to give them a holistic makeover — from their home, to their personal style, to their self-esteem. We've seen a staunch Church-going Christian accept her gay son (Season 2, Tammye Hicks); an Indian "nerd" i.e, video-game guzzling, under-confident tech guy, who spruced up his life; Skyler, a transgender man who underwent top surgery and saw a mental and physical transformation, and a middle-aged country man (Tom, season 1) who suffers from Lupus but took help to finally go out on a date with the woman he loves. A still from Queer Eye season 3. Image courtesy: Netflix. These were all remarkable transformations, mostly resulting in many happy tears and applause-worthy moments. 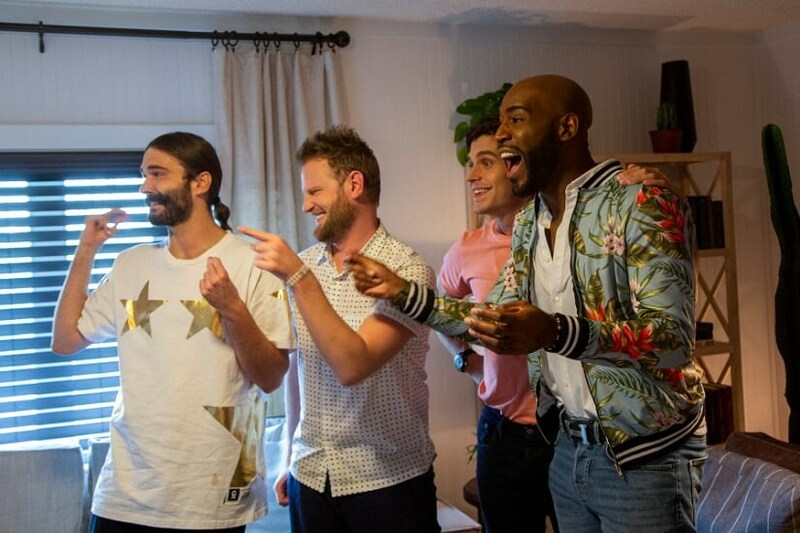 What makes Queer Eye such a binge-able and joy-inducing show is the Fab Five's ability to be sassy as well as nurturing. Their makeovers aren't unfathomable. They have the unique ability of taking your personal interests and turning them into style, while also pushing back your obvious flaws (or giving you the confidence to finally tackle them). It's easy, then, for a series of this nature to become predictable. They are makeovers after all, and follow a similar format; but season 3 of Queer Eye manages to take this one step further — by including a mix of interesting personalities. Episode one starts with Jody the hunting lady, and the most note-worthy bit from the episode (barring the final reveal where Jody's husband sees her walk out of a limo, and says, "oh damn") is the fact that they didn't turn a camou-print loving hunter into a heels-and-dress wearing "woman". They eased her into it, and revealed her natural beauty. All she had to do was wear fitted pants, let her hair down, and voilà! The Fab Five with Jody in Episode 1 of Season three. Image courtesy: Netflix. In episode two, we see Joey Greene, a camp counselor with a case of "Peter Pan syndrome" — he's a 47-year-old man with a 13-year-old son, who lives in an RV, barely showers or grooms himself, wears worn out shoes and crinkled clothes. Over the course of the episode, the Fab Five teach him the basics of grooming and how to set up a new cabin that he can share with son and his girlfriend. Episode three sees two entrepreneurs, Deborah "Little" Jones and Mary "Shorty" Jones, the co-owners of Jones Bar-B-Que in Kansas city. Most of the other Bar-B-Que jaunts in the area are owned by men. The Fab five give these two ladies a much needed boost, both for themselves and their eatery, but it's their personal transformation that will make you weep — yes, it's that emotional. Robert Hitchcock, a nurse and upcoming groom, suffers from self-esteem and abandonment issues, and often drowns himself in self-deprecating humour. There's a moment in episode four, when Rob is pulling himself down (by making fun of his "Gimli"-like beard), when Tan shuts him down saying he will have none of it. Loving yourself is basically a pre-requisite at this point. By the end of the episode, he grooms up (pun-intended) and how. Episode five (my personal favourite) has the series' first lesbian nominee, Jess Gilbo, a 23-year-old who works at a Greek restaurant. Jess' parents rejected her (because of her) sexuality and she's been on her own ever since. When the Fab Five meet her, you can see she finally finds a group of people who resonate with her struggle. She attends a pot luck at the end of the episode, and quite naturally, hits it out of the park. Fab Five with Deborah and Mary in Episode 3 of Season 3. Image courtesy: Netflix. Rob Elrod lost his wife two years ago, and his life came to a standstill. A father of two, Rob is a manager of a restaurant, but doesn't know what to do with his life anymore. The Fab Five try to change that over the sixth episode, by showing him how to throw the ultimate housewarming party. In episode seven, Thomas, a college-going student and IT professional learns that there is a world outside of his computer screen. Addicted to video games and tater-tots (it's all he eats), the Fab Five teach him how to break the wall he has built around him (after the death of his mom), and become more sociable. Serial procrastinator Tony Blanco, is — to put it quite bluntly — a mess: (both) his house and his mind. He refuses to ask for help, which results in multiple things piling up due to his inability to fix them. This ranges from the dishes, all the way up to his self-esteem. With a new baby on the way (his girlfriend is nine months pregnant), and a six-year-old taking up all his time, Tony lives in flip-flops. The Fab Five prepare him for a fancy baby shower in the finale episode, and instill so much confidence in him that he proposes to his girlfriend by the end of the week. Tan sets down some ground rules: Camou-prints are a strict no-no (unless it's a negligee, in which way, you can totally rock it), horizontal stripes do not make you look fat if you wear them with stride, and if you add a belt to a sweat-suit — brownie points for you. Antoni, the food expert, makes sure the cooking tips are casual, and nothing too fancy. In the first episode with Jody, he suggests a light Zucchini salad, because she has them growing in her backyard. He teaches Joey the camper (ep 2) to roast Porchetta atop a bonfire so as to allow him to be comfortable. Jonathan is almost always in heels and make-up (and uses the pronoun "she" much oftener this season), and Bobby breaks the ice with personal stories in tense moments. 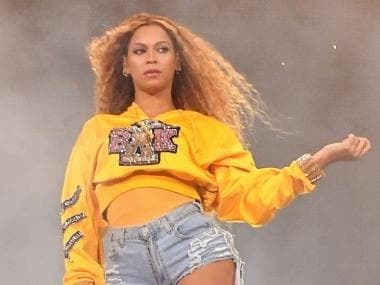 For the longest time, I kept wondering what Karamo was an expert on. "Culture" is broad and vague, and for the past two seasons, Karamo seemed more like a life-coach/therapist than a "culture" expert. This changes in season three. Karamo actually has some of the more influential and meaningful bits in each episode. From taking Robert and Jess (ep 4 and 5) to dance studios to get in touch with their inner selves, to making Thomas (ep 7) go rock-climbing to, quite literally, climb over the wall he built around him, and making Jody (ep 1) meet diverse women from all walks of life to show her "femininity" means anything you want it to be — Queer Eye season 3 belongs to Karamo, hands down. No wait, there's also Bruley, the cuddly French Bull Dog, who the American media are calling "a breakout star". He even has his own Instagram page!